Happy Power Monday lovelies! How was your weekend? Mine turned out to be pretty great 🙂 Saturday started with a new Quinoa Flake breakfast! 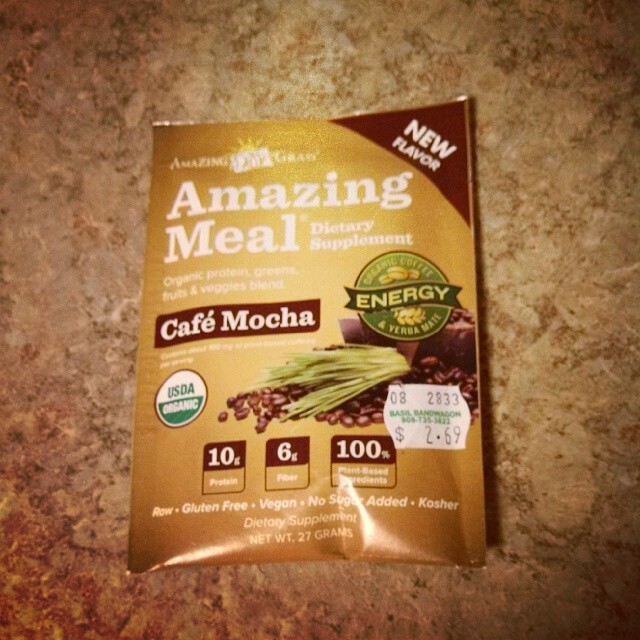 I used the Amazing Grass’s new Cafe Mocha Amazing Meal! It was yummy 😉 I used half the packet in the flakes and then later for lunch I added the other half to my blueberry green smoothie…lovin’ life!